What began as one-man project, soon grew into a series of pop-ups, and now, starting this fall, three permanent Thingery sites are coming to Vancouver. The Thingery started out as a project of Vancouver Tool Library co-founder Chris Diplock. 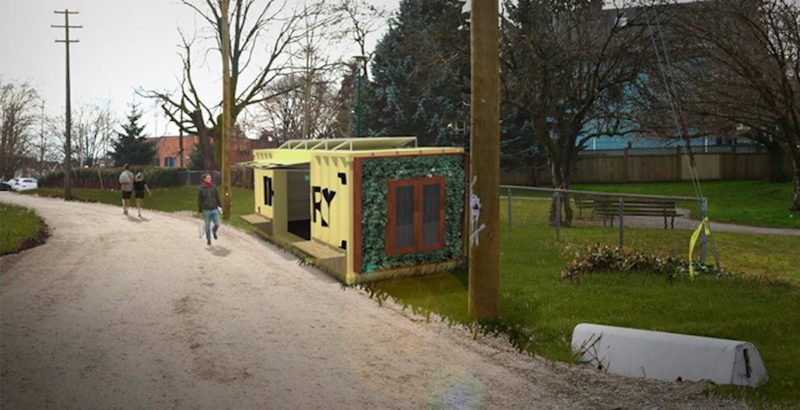 With support from Vancity, the project first came to fruition last fall with a series of pop-ups, which were an immediate hit with the community. The three permanent sites coming this fall build on that popularity. What exactly is a Thingery? The containers are self-service, so members can check things in and out at their convenience. A Thingery’s inventory is community sourced and can hold a wide variety of things – depending on what community members donate to – or collectively purchase for it. This means items found in a Thingery can be everything from recreation equipment to kids toys, to woodworking tools and even things likeventertainment equipment, or household appliances. When officially launched this fall, Vancouverites will find a Thingery in three pilot neighbourhoods: Kitsilano, Hastings-Sunrise, and Grandview-Woodland. And while the project is beginning with these three locations, those interested in having or hosting a Thingery in their own neighbourhood are encouraged to get involved. Who knows what you’ll find in the meantime, though?